I get a little melancholy when the year turns and it's time to take down my calendar. We've spent a 12 months together, after all. Of course we've gotten a little attached! 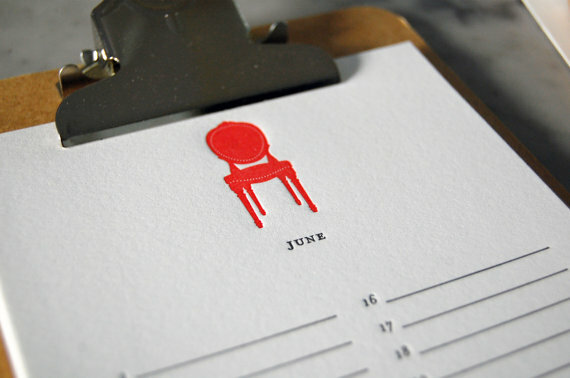 I'm considering buying a perpetual calendar, or one that you use over and over again. 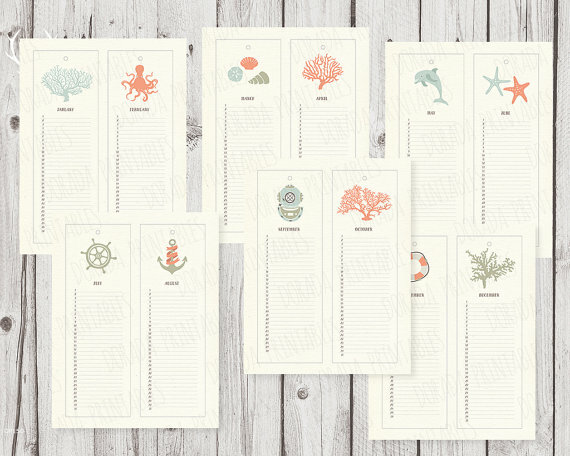 The calendars that most interest me catalog years gone by (kind of like an analog version of Timehop) or help you remember birthdays and important events (I could use a little help in that department). 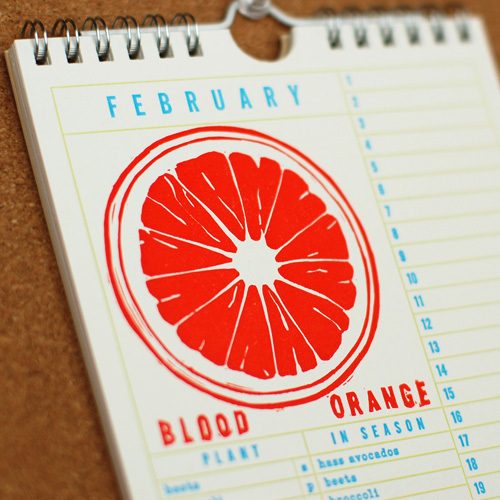 If you're into that, too, these calendars will get you through many years ahead. Although the Vikings are most associated with Scandinavia, they raided, traded, and settled across Europe and Asia Minor, and even made it as far away as Canada. Given that the Norsemen journeyed so far, you don’t even have to go to their homeland to travel in their wake. Here are five important Viking sites outside of Scandinavia. (above) Discovered in a large burial mount at a farm in Norway, the Oseberg ship is one of the main attractions at the Viking Ship Museum in Oslo, Norway. Wikimedia Commons. Runic inscription in Maeshowe. Photo courtesy Wikimedia Commons. When the Orkney Islands off the north coast of Scotland were conquered by the Vikings in the 8th or 9th century, the area had been a center of culture for millennia. The newcomers were impressed by the large number of prehistoric sites there, such as the imposing stones circles and extensive tombs. 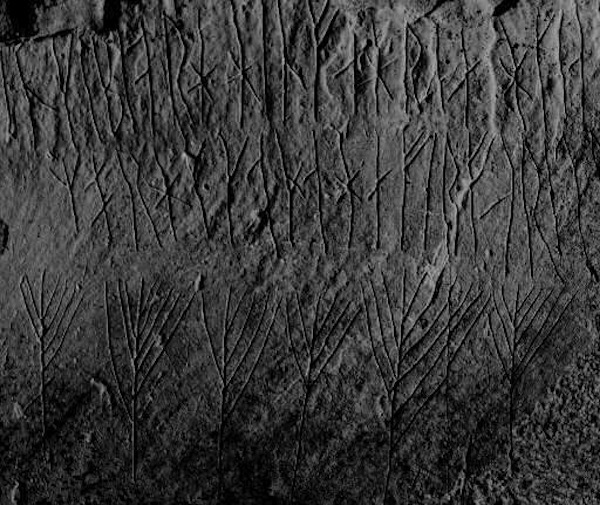 One tomb, Maeshowe, is filled with Norse graffiti. The Orkneyinga Saga tells us a band of Christian Vikings either heading to or returning from the Crusades broke into the tomb to hide from a storm on Christmas of the year 1153. An inscription on the wall says, "Crusaders broke into Maeshowe. Lif the earl's cook carved these runes. To the north-west is a great treasure hidden. It was long ago that a great treasure was hidden here. Happy is he that might find that great treasure. Hakon alone bore treasure from this mound (signed) Simon Sirith". Sadly there’s no record of what the treasure was. Other inscriptions boast of sexual conquests or the carver’s ability to write well. The complete set of inscriptions can be found here. This coprolite (fossilized human feces) is an unseemly yet informative find from Viking York. Archaeologists examined it and found pollen grains, cereal bran, and two types of parasitical worm. It’s now a popular display at the Jorvik Centre in York. Photo courtesy Linda Spashett. By the 9th century, the Vikings had moved from their earlier raids on monasteries to a full-fledged invasion of the British Isles. Led by Halfdan and Ivar the Boneless, a Viking army took the city of York in northern England in 866. They hadn’t come to plunder, but to settle, and in the following years York grew to be an important center for trade and crafts. From 1976 to 1981, archaeologists from York Archaeological Trust excavated a portion of the old Viking city and uncovered the foundations of houses and shops, as well as a wealth of artifacts. The excavated area is now the centerpiece of the Jorvik Viking Centre. Standing on a glass floor, you can walk just above the streets and buildings of the old city. Interactive displays, costumed employees, and cheesy animatronic Vikings explain what life was like back in those days. A ten-minute walk away is the Yorkshire Museum, which has an excellent Viking collection presented in a more traditional manner. A Viking craftsman at work at Haithabu (Hedeby) Museum. Photo courtesy Frank Vincentz. This one is a bit of a cheat since the region was part of Denmark until Prussia took it in 1864, but Hedeby in northern Germany is one of the most important Viking settlements ever excavated. A center of trade from the 8th to the 11th centuries, Hedeby was the largest city in Scandinavia and sent trading ships as far as Greece. A Slavic army burned the town in 1066 and it lay abandoned until it was excavated in modern times. The cold, waterlogged ground preserved the foundations of the houses, everyday items, and even a ship, all now preserved in the Haithabu Museum. Visitors can explore reconstructed houses that are exact replicas of the originals and watch re-enactors perform traditional Norse crafts. At the dock you can board a reconstructed Viking ship and go sailing. Viking graffiti on a railing on the second floor of the Hagia Sofia, Istanbul. Photo courtesy Wikimedia Commons. The Vikings’ reputation as warriors meant they were in demand as mercenaries all over Europe. Even the emperors of Byzantium in the eastern Mediterranean used them as their personal bodyguards. Called Varangians, the Norse axemen were considered more trustworthy than the Byzantines themselves, who had a bad habit of assassinating their emperors. At the capital of Constantinople (now Istanbul), Varangians left traces of their presence in the form of graffiti at the main church, the Hagia Sofia. Several faint runes can still be seen scratched into the walls and bannisters. This one is the most visible, and occasionally new ones are discovered, so keep your eyes peeled. A far cry from raiding monasteries on a dragon-prowed longship, the lives of the Viking colonists in Newfoundland centered around turf-covered longhouses like this reconstructed one at L’Anse aux Meadows. Photo courtesy D. Gordon E. Robertson. Perhaps the most significant Viking remains are those found the furthest from Scandinavia. At the windswept northern tip of Newfoundland, Canada, stands the remains of a small settlement of Vikings who settled there around the year 1000 AD, building sod houses, a smithy, and a carpenter’s workshop. Today the site is a national park and UNESCO World Heritage Site. Re-enactors practice traditional Viking crafts in reconstructed buildings, and a modern visitor’s center describes the epic voyages that got the Vikings all the way across the Atlantic. A few scattered Viking artifacts such as a coin in Maine and a some remains in northern Canada suggest L’Anse aux Meadows may have been a base for further trade, or that perhaps there are more Viking settlements in the New World waiting to be uncovered. As anyone who celebrates Christmas can tell you, tree decorating can be a very serious matter. I can specifically remember a year when my mom shelved our normal red-and-green garland and cartoonish reindeer in favor of a beach-themed tree with glittering seashells and sand dollars. As the youngest child, I was upset about a tree devoid of the familiar ornaments of years gone by, and a family compromise was made that allowed me to hang the more youthful ornaments around the back of the tree. Mom has since completely taken over the tree—which makes sense, because it's been more than a decade since I lived at home—and enjoys coming up with new color palettes and themes every few years. If you're looking to add something new to your tree, or perhaps give an ornamental gift to someone who is starting a new tradition of their own, here are some inspirational ideas. 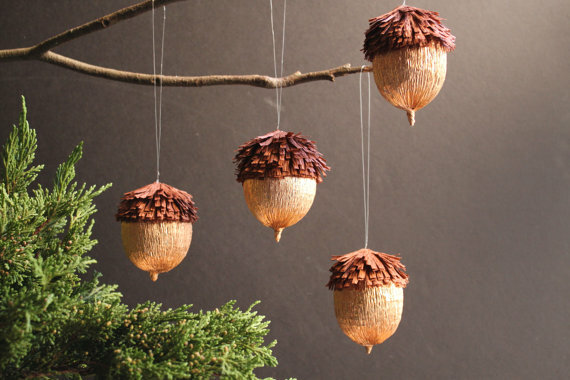 Above: Jumbo eggs are the building blocks for these adorable woodland ornaments. 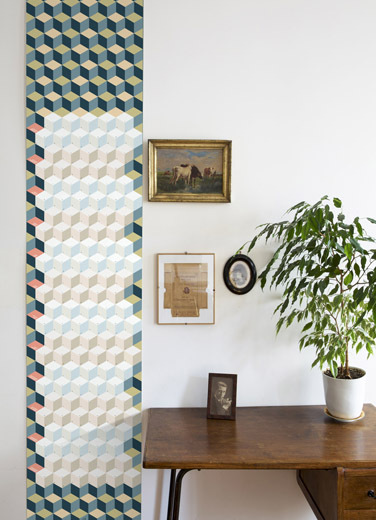 By papelSF ($42 for four). 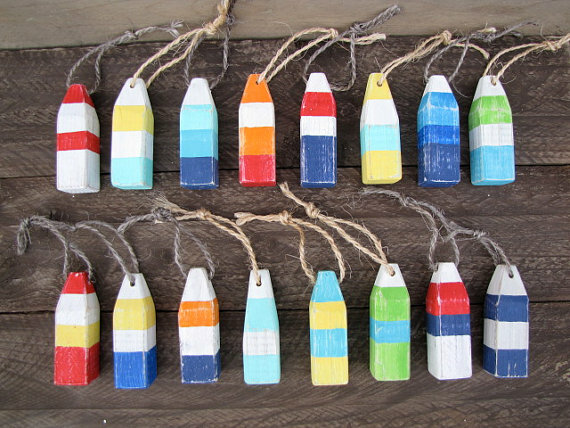 Mini buoy ornaments made from reclaimed wood are perfect for a nautical tree. By Altered Nature ($6 each). "A Christmas Carol" by Charles Dickens is the basis for this literary holiday decoration. By Palimpsestic ($25). White and gold trim makes these pinecones look snow-capped. By mylivelove ($13 for eight). A mini ball of yarn is perfect for the avid knitter. By WhiteAcorn ($8.50). Cedar and copper mountain peaks made from completely reclaimed materials. 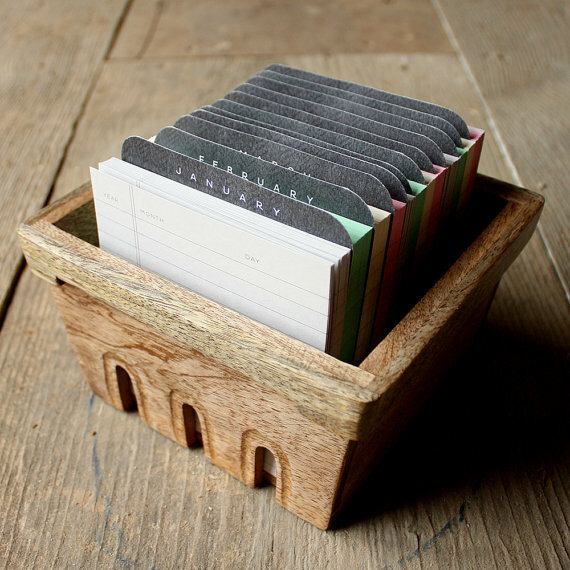 By Laurel and Lime ($17). Screen-printed embroidery hoops add a nice touch to a tree. By ClassicByNature ($36 for four). For more ways to trim your tree, check out this treasury on Etsy.